aren’t part of Google’s advertising network. they’re after, push a button, then get a list of sites. 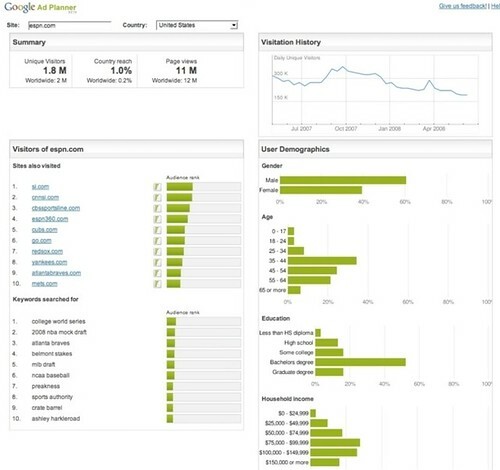 then target these sites from your AdWords account. Can I buy ad placements on sites through Google Ad Planner? 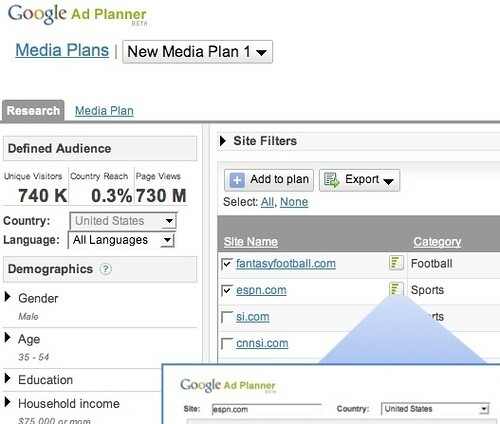 media planning and buying tools, such as DoubleClick MediaVisor. for website owners to somehow participate in a brokerage system through it. opt-in external consumer panel data, and other third-party market research. algorithms; it doesn’t contain personally-identifiable information. data would give them a nearly complete sample of all sites out there.